History was made in the 2015 Atlantic Rally for Cruisers (ARC) when a production cruising trimaran took line honors in the 2,680-mile event. 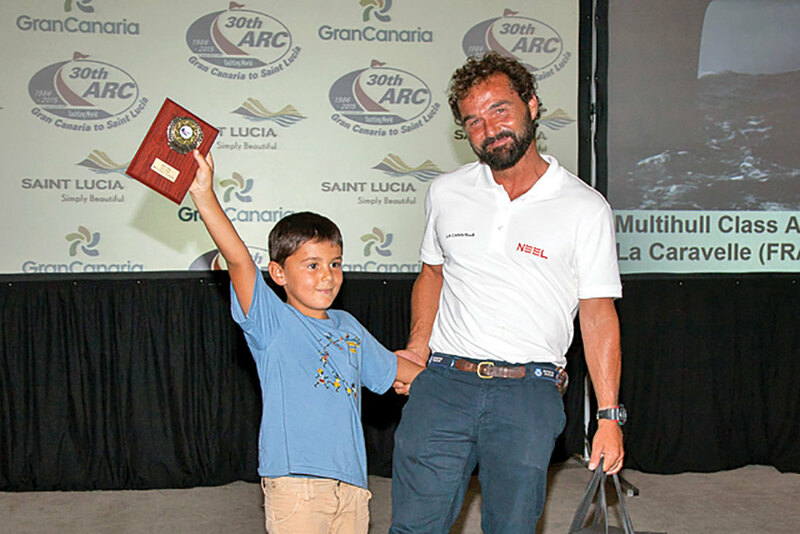 The Neel 45, La Caravelle, skippered by Frenchman Jean-Marie Caillaud, arrived in St. Lucia on the evening of December 5, just six hours ahead of David Walsh’s U.S.-flagged Outremer 51, Wanderer. La Caravelle, the tweaked-up “racing” version of the Neel 45, finished in the very respectable time of 15 days and 8 hours to come second on handicap ahead of Wanderer. Caillaud just missed out on the double: My Cherie Amour, a Fountaine Pajot Salina 48 captained by American Kenneth Frantz, finished first on handicap, correcting out just five minutes ahead of La Caravelle. Another American boat, Aidan Overy’s Lagoon 39, Ama, was fourth on corrected time. The ARC has always been something of a Lagoon benefit—out of the 21 multihull entries, 13 were Lagoons, ranging in size from 39ft to 62ft. 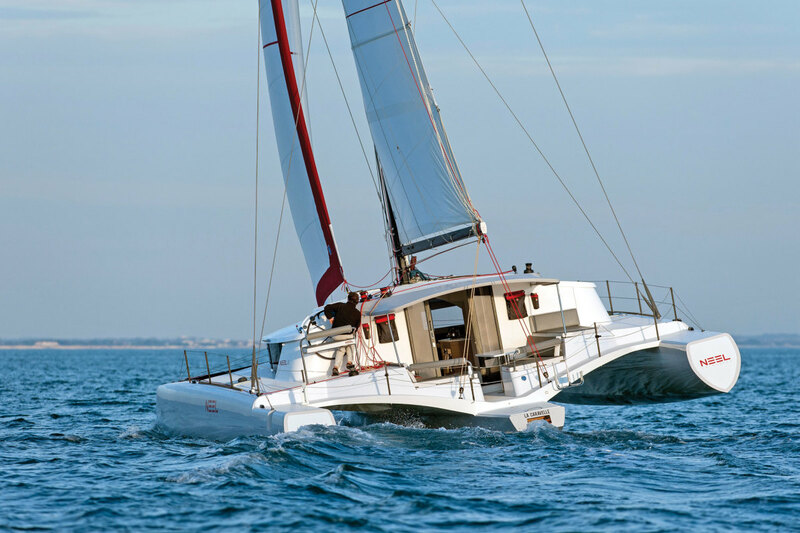 Another nine Lagoons took part in the ARC+, a two-leg rally that stops over in the Cape Verde islands before joining the test of the fleet en route to the finish in Rodney Bay, St. Lucia. Registration for this year’s ARC is now open: go to worldcruising.com for more information.